Not only does the 62nd episode of The Pop Poppa Nap Cast recount our Memorial Day weekend woes, but also lays out the groundwork for Lu’s new mastery of the potty and a brand new intro. 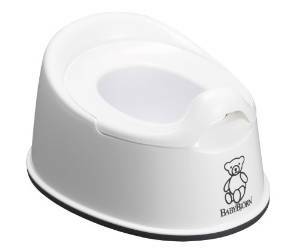 The potty we use is the white BABYBJORN Smart Potty . Go, Girl! Go Potty! , The Potty Book for Girls , Elmo’s Potty Time and Nina Needs To Go on Disney Channel have all helped our daughter figure out what this whole potty training thing is about. I wrote about my first time using the Lost It! app over on Monkeying Around The Kitchen last year.